Little Boots is knocking out the videos these days, isn’t she? Get Things Done is one of our favourite track on the recent third album, Working Girl (now finally out in it’s vinyl form) so we think it’s pretty cool that this slice of catchy, bounce-ified ElectroPop get’s it’s own clip. The video, directed by Nova Dando, slips comfortable into the Working Girl aesthetic that Ms. Hesketh has build up around the album. The pastels and powersuits showing off just what a tight ship she;s runs at On Repeat. 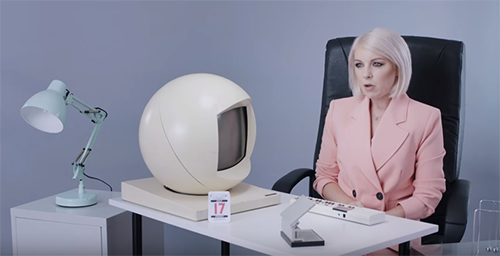 Little Boots’ Working Girl is out now.